This is an advanced calibration, recommended only to experienced users. The Extrusion Multiplier allows the fine-tuning of the extrusion flow rate - simply described as how much filament comes out of the nozzle. In other words, the Extrusion Multiplier setting in Slic3r and the Flow rate setting in printer firmware are two ways to adjust the same thing, however, adjusting one of those two settings will not influence the value of the other. The ideal value is spool specific and type of material specific and can differ even between different color variants of the same filament. Overextrusion - Too much material is extruded (flow is too high). Causes scarring of bottom layers and unnecessary material buildup on top layers. Minor underextrusion - Not enough material is extruded (flow is too low). Causes small gaps to appear in between layer lines or perimeters. 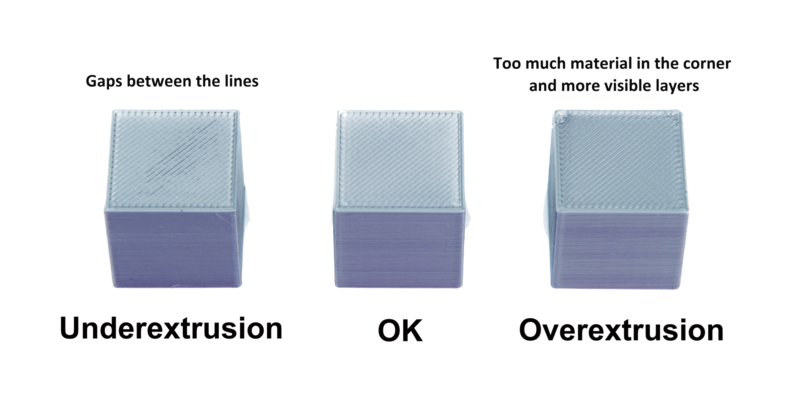 The overextrusion is a common problem with many filament brands. It's especially problematic when you're trying to glue two parts of the model. If the top layer is overextruded, you'll end up with uneven surface that will prevent seamless connection between the two pieces. In Slic3r, navigate to Filament Settings and look for Extrusion Multiplier. The default setting (for PLA) is 1, this value represents a percentage, 1 = 100%, 0.95 = 95% etc. Usually, the adjusted values can be between 0.9 and 1.1. To adjust it, simply rewrite the value. In the printer menu, during a print, go to Tune menu and then choose Flow. Again, the usual values can range between 90 and 110, although that does not mean you can't go above or below that. Precise Method - using precision tools such as calipers. Visual Method - an easy method based on observing the visual properties of your models. The choice of the method depends entirely on your preferences and goals, but in the end both yield similar results. If your goal is to have perfectly fitting parts with smooth & flat top layers, then the Visual Method can be a better choice. If you wish to calibrate the printer with bigger/smaller nozzle, then you will need to adjust these values as well. 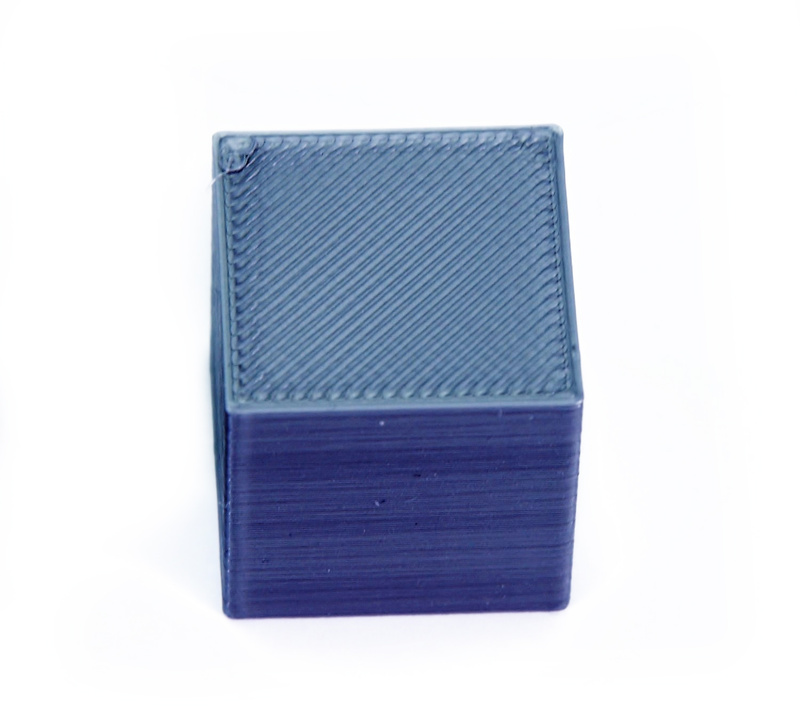 Download the Precision Method Cube STL. Slice it using the Vase Mode and your most-often used layer height and print it. You can find Vase mode (Print Settings → Layers and perimeters → Spiral vase). Make three or more measurements in the middle of each wall and calculate the overall average thickness. Calculate the extrusion multiplier using the following formula: Extrusion multiplier = (0.45 / Average measured wall thickness). Re-print the cube with new settings and go back to step 3 if necessary. Please note that cheap digital calipers may not be accurate enough to make reliable measurements of a single perimeter wall. This method does not require any tools, only your sight. The point is to make sure your top layers are smooth, shiny and without scarring or filament buildup near the perimeters. Slice it using the default Prusa PLA presets at 0.20mm layer height and print it. 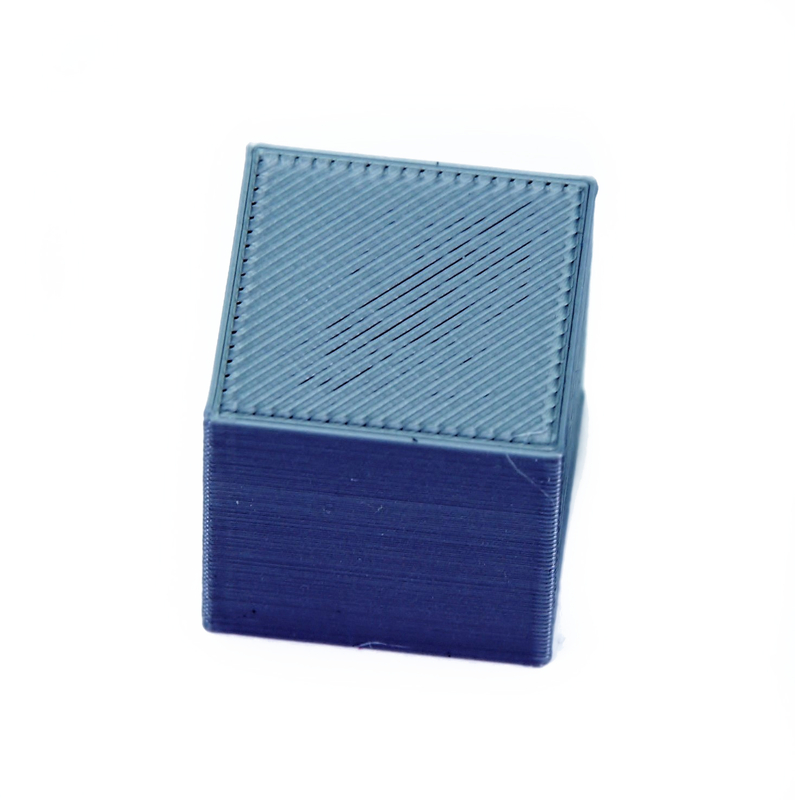 Inspect the top layer of your cube visually and with the tip of the finger. 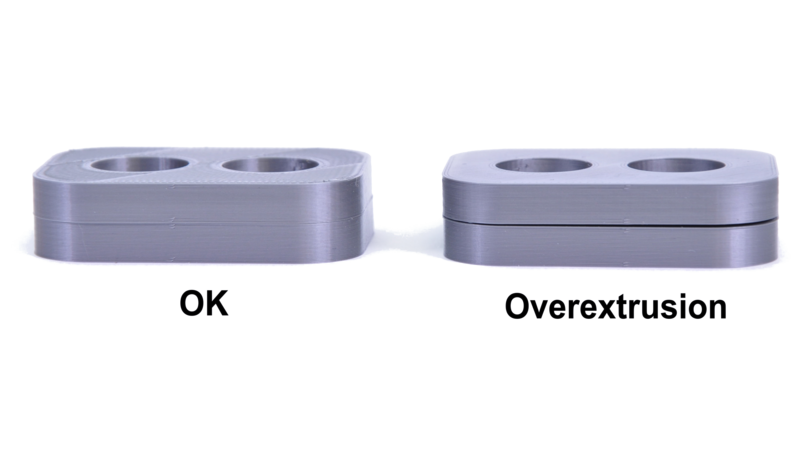 If the top is underextruded or not smooth, then re-adjust the Extrusion Multiplier accordingly by 1-2%. Repeat the steps above as long as needed. 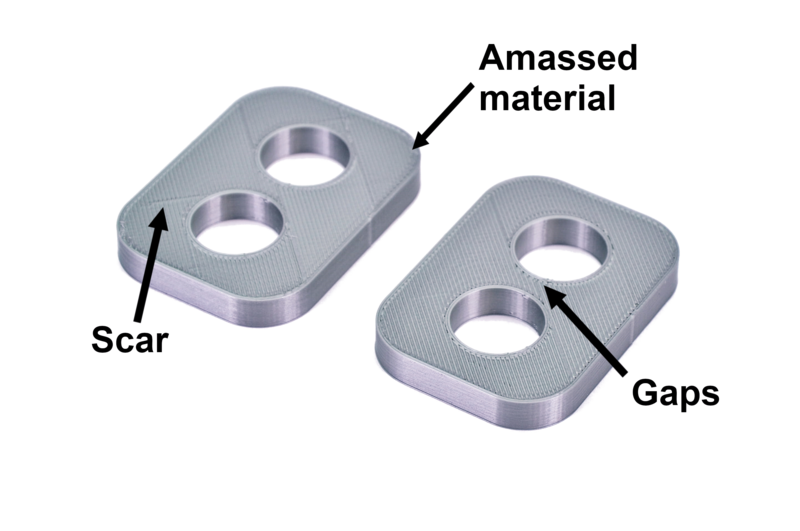 If there is too much material near the perimeters, decrease the Extrusion Multiplier value.